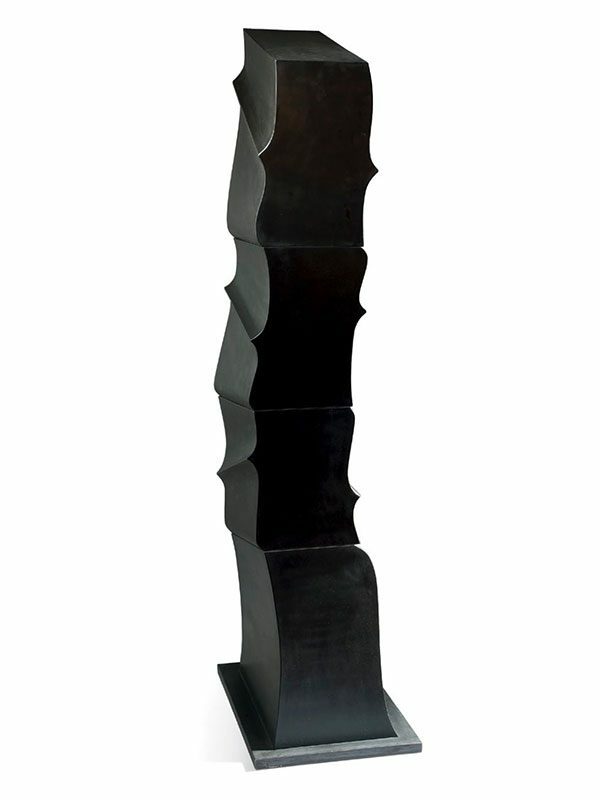 An impressive, extremely large, bronze abstract sculpture, cast in four joined sections on a flat base. 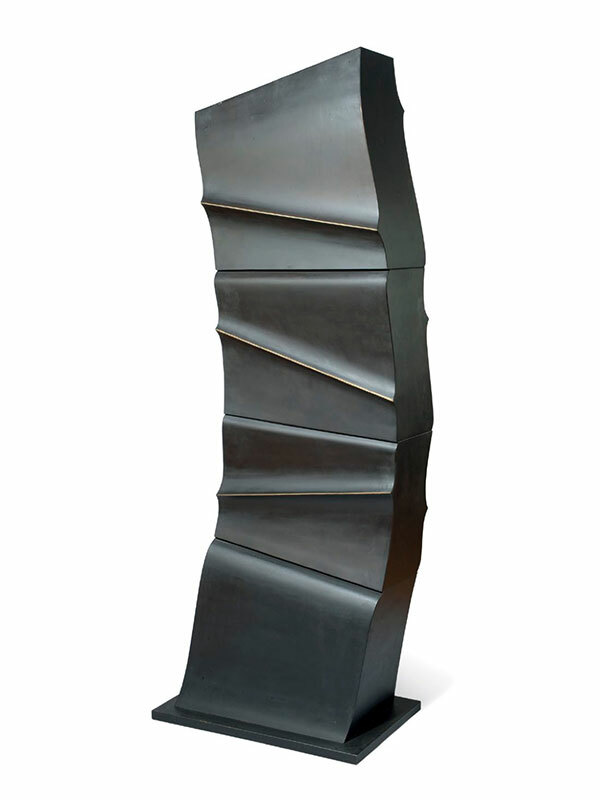 The main body of the sculpture is gently curved and the top is at a slope. The sides are folded outwards in several sections and at a variety of angles. The short sides are plain. The matt finish of the bronze has a warm, even dark-brown patina.